DRESS FOR YOUR GIRLS... READY STOCK!!! POLO COLLAR SHIRT... READY STOCK!!! DRESS / TOP FOR GIRLS... READY STOCK!!! - Your One Stop Shopping Place! THOMAS & FRIENDS T-SHIRT... READY STOCK!!! BABY GAP ZODIAC JUMPER... READY STOCK!!! All prices are fixed, please be faired to other mommies who don't negotiate on pricing. 2. RESTRICTED TO SERIOUS BUYER ONLY. 3. Booking is allowed; however order will be cancelled if no payment received within 3 days. 4. Please take note that all prices stated is not included postage charges. Postage charges will be borne by buyers, unless stated. 5. Item sold as it is and sold goods are not returnable. So please decide carefully. We ensure that all ordered item(s) is in good condition before send it to you. 6. Please take note that colours for the products that displayed online might be slightly different in the final product due to photographing or computer settings. 7. 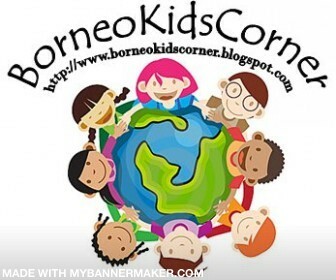 BORNEO KIDS CORNER will not take any responsible if posted item is missing on the way of postage. Tracking number will be given as per request only. 8. Delivery will be done on TUESDAY and FRIDAY only. 1. Choose your favourites. Get the item code and size. 3. Then, wait for the confirmation details from me. 4. Bank-in the payment using either Maybank or CIMB account. Account number will be given through email to prevent phishing scam. 4. Inform me by email or sms once the payment is made. 5. Then, I will ship out the parcel.